The sun’s-a-shining here in Southern California, which means I get to start breaking out the shorts, skirts and sundresses. But, I must confess, I didn’t take the very best care of my skin throughout the colder months. I know, bad Miranda! So in order to add some intense moisture to my skin, I’ve been using body oil. While most lotions are made up of primarily water, body oils are concentrated sources of moisture that can also contain antioxidants that are healthy for and protect the skin. 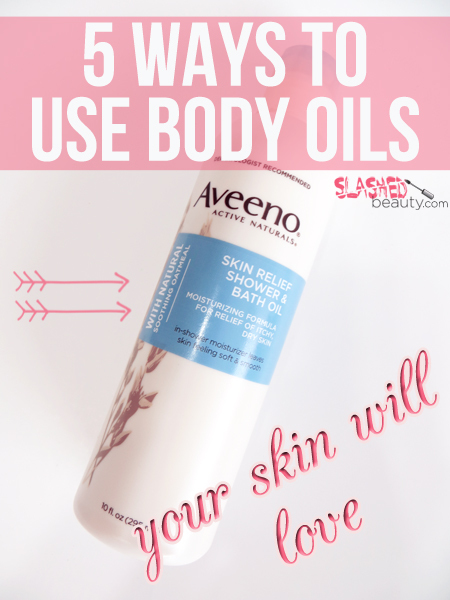 I’ve been using the Aveeno Skin Relief Shower & Bath Oil, which incorporates colloidal oatmeal, a skin protectant ingredient that relieves itchy, dry patches and retains moisture in the skin. Keep in mind: you can always use 100% pure oils like olive oil, coconut oil, or argan oil on your body, too! If you love piping hot showers like I do, you are probably familiar on the detrimental effects on your skin. Apply oil to your skin prior to getting in the shower to act as a barrier to protect and maintain your skin’s natural oils and keratin. Same goes for before you take a soak in the tub! Aveeno recommends their shower oil to be used before exiting the shower. Towards the end of your shower routine, rub a small amount into the skin; it will start to softly lather. Rinse, get out of the shower, and pat dry. You won’t need to use any lotion afterwards, and your skin will be velvety smooth. I love doing this right after using a body scrub. (Read: no more scaly skin!) Using this method will help you avoid feeling greasy afterwards. Further, adding a little oil to your bath water will cut back on the drying effect that happens when you get out. If you need some serious skin repair, use body oil after getting out of the shower. While your skin is still damp, apply a small (!) amount of oil to your skin. Remember, oil is concentrated and if you’re not rinsing it off, you really don’t need a lot. Give it a few minutes to soak into your skin before patting the rest of yourself dry and getting dressed. 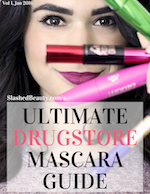 You forgot to pick up shaving cream during your last drugstore run, didn’t you? No problem! Just lather some oil onto your legs and shave away. This protects your skin from knicks while simultaneously soothing irritated skin. Be sure to thoroughly rinse or wipe down your razor during the process to avoid build up. Using your body oil and a couple things in your pantry, you can make a very easy and effective body scrub! Mix your oil with sea salt or sugar for an exfoliating, moisturizing skin treatment. Friendly warning, using oil in the tub can make things a bit slippery! Can you think of any other ways to use body oils? I love body oils, thanks for the wonderful tips! Great tips! I love oils right after the shower. sometimes i use baby oil as shaving cream haha! I love to use oils as a shaving cream as well. Makes my legs feel so soft! I love body oil! 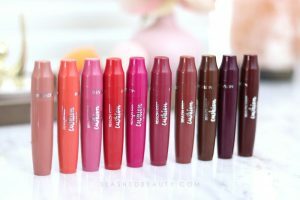 My faves of the moment are Neutrogena and The Body Shop. The scents are awesome! I love to put some on my hands and arms up to my elbows at night. It’s really helped my cuticles and my elbows look softer. Ooh, I gotta try the ones from TBS, I love their products. I discovered body oils last year and I love them for my dry sensitive skin. That is a fantastic idea about oiling up before you shower. I love hot showers and love Aveeno, so this is definitely on my list. I love body oils. I like to use them right after a shower. I’m a big fan of body oils. I like applying them before leaving the shower and as for shaving. i am so putting this Aveeno shower/oil on my shopping list!! I haven’t seen it in my stores though! This is pretty hard to find in regular stores, you can get it on their website though! Thank you for letting me know that! Love body oils… ooh – I need to try this. I couldn’t agree more. I love oils for the body! Oh I love body oils! I haven’t seen this one yet. Very nice tips! I love using oils, too! Good to know! I use a light body oil mist and it’s been working awesome! Ooh , that sounds wonderful! Great tips! Using body oil for DIY scrub is great idea. I like the idea of using it to shave with instead of shaving cream. I hate shaving cream. I love using body oil, especially in the winter. My current favorite is the Almond dry oil mist from c. Booth. It works well, smells delicious, and it’s really inexpensive! I’ve used body oils a couple times but I love the idea of using them in the shower right before I leave, and to shave with; I recently switched razors and my legs look like a horro movie! Perhaps an oil might help me out lol! Oh no! Was it a bad razor or perhaps the cream? I’m having some bad skin conditions myself right now and the oil is helping tame dry and itchy patches! I had no idea Aveeno had this! I love some of their skincare stuff for the face. Right now I have a lot of LUSH stuff for my shower, haha. OOohhhh super great tips. I totally love the oil after the shower. Probably because I almost slipped and ate crap last time I used oil in the shower. lol… But great to know I can use it in replace of shaving gel. Great tips. I definitely LOLd at your comment, Jamie! Haha, I am a bit of a klutz so I’m always afraid I’ll apply way too much and have to go back in to the shower! I like to use it after a shower! Such a great post! I was actually thinking to myself the other day how I can use body oils. Perfect!